Around twelve years ago I bought a car. On that car, I had fitted two aerial mounts on the roof, proper drilled through mounts with SO239 sockets for putting aerials for 2m/70cms. 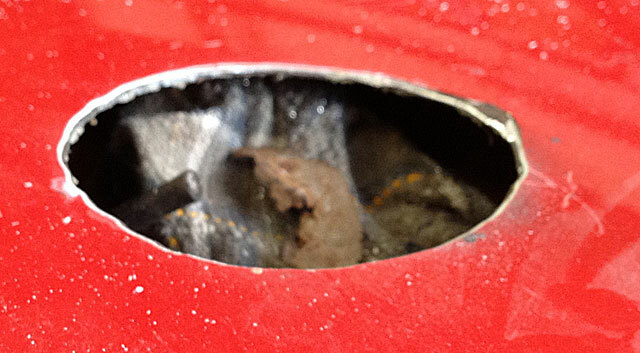 The problem is that after time, water has got under the mounts and caused rust to form. I’ve not been too worried about it, however last weekend I had a slight disagreement with an overhanging bush and one of the aerial mounts was pulled out of the roof. I covered the hole for a week with some duck tape to keep water out and then on Friday I paid a visit to a good friend of mine who cut out the rust, cleaned it all up and treated it with some anti-rust coating to prevent it getting worse. Here’s a video of some of the work done to tidy it all up. Once done, it looks much better. Because it’s an old car, I really didn’t want to have to go to the expense of a full repair and someone came up with a good solution. 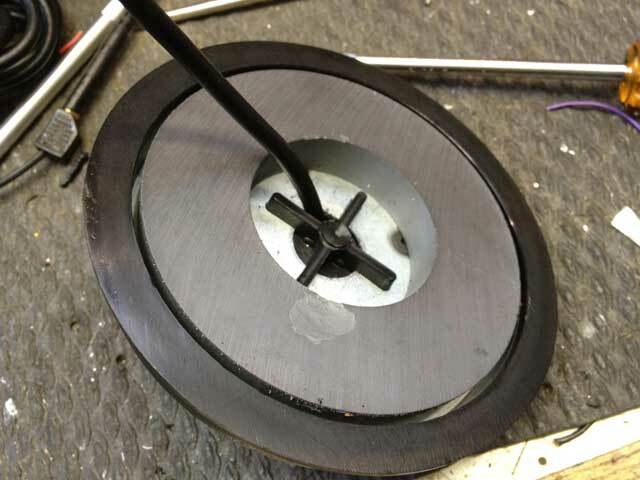 Get a mag-mount aerial, modify it so that the coax comes out the middle and put it over the hole. For added protection, use a sealant around the edge to fix it in place so that it can’t move and so that moisture can’t get underneath. Modifying the mag-mount was quite straightforward. 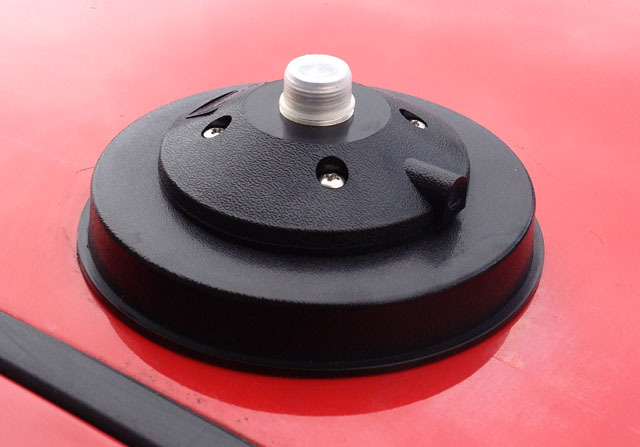 It was then fitted on my car with a nice amount of sealant underneath holding it in place, I think the end result is rather pleasing on the eyes and I’m going to do the same with the other aerial mount on the other side of the roof so that it’s a matching pair. When I saw the first picture of the rust I was not sure how you were going to look after it. 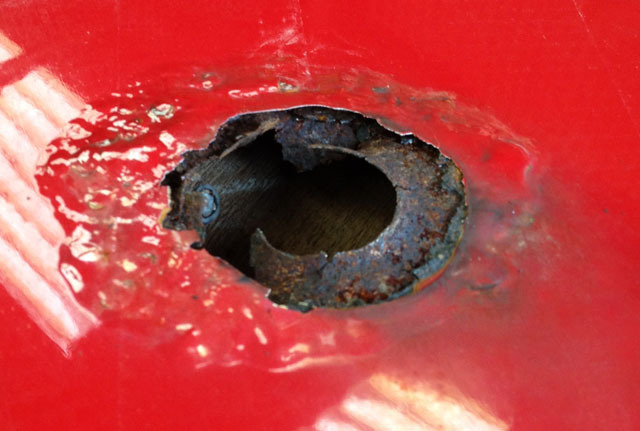 But the mag mount was a great idea and the fixing of the rust around the hole was very professional. Very nice job and great pic to show how you went about the fix.